This year Twitter reached into its garden of production and pulled out a Vine. In late January 2013, the recently acquired video sharing platform and mobile app became available to the public. 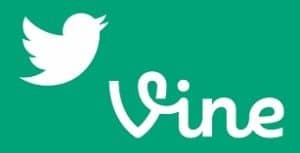 Vine is currently available on iPhone and iPod Touch devices, but Twitter has promised other options will be available soon. For digital marketers, Vine is a bit of a mystery. Immediately, there was a flurry of questions. Who would use this service? What kind of content would it cater to? And where do brands trying to reach their core audience fit into all of this? Much of the frustration some marketers are feeling comes from the fact that Vine is an abbreviated video sharing service that doesn’t seem to fit in the landscape as we know it. In a world where users are used to advanced video sharing sites like Youtube and Vimeo, the limited scope of Vine may seem confining. But perhaps getting the answers to some of your most frustrating questions can help. Do We Really Have to Use Such Short Videos? The first thing you’ll realize after poking around Vine is that there is no upload option. That means that the only videos you can share with Vine are the ones you create with the app. For many users, this is a problem. You’re used to platforms, like Youtube, that allow you to create with any equipment you’d like. Furthermore, Vine limits its videos to six second loops. But think back to the beginning days of Twitter. Remember when 140 characters seemed like not enough to even express a single thought? Well last year, reports put Twitter users near the half a billion mark. Obviously, we all found a way to get over it. What Twitter became is the type of network where brevity rules. 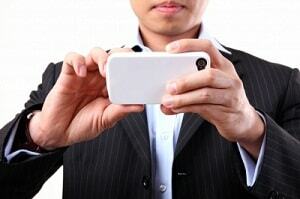 Like Twitter, Vine caters to an audience with faster typing fingers and shorter attention spans. Brands who fit in with these users will thrive with the platform. Those that don’t will continue to use less specific video sites like Youtube. Would It Have Killed Them to Give Us Some Editing Features? Vine’s recording feature is drop dead simple. You press the Create button to begin recording and take your finger off when you’re done. You can do simple editing by lifting your finger during parts you don’t want to capture and pressing again when you’re ready to continue recording. This is frustrating to users who want to put out fully produced videos. But again, Vine isn’t for that type of video sharing. 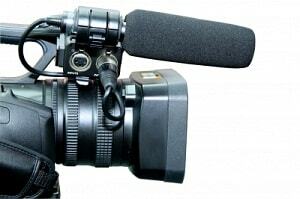 It’s for stripped down guerilla style videos and the marketing plans that complement that. Vine isn’t for commercials or movies. Think short product spotlights, interesting action shots or visual punchlines. Do We Really Need to Work on Building Another Platform? Twitter’s relationship to Vine is a lot like Facebook’s relationship to Instagram. Twitter owns Vine but Twitter and Vine are two separate platforms. Your follower count has nothing to do with the social network you’ve built over Twitter and thus there is less reach for your brand. This can be frustrating when you’ve spent significant man hours building up your brand’s presence on bigger, more well known social platforms. Remember that Vine is also an app that crosses platforms, too. You can set your Vine videos to post to Twitter and Facebook. So if you’re not interested in building a following on Vine, don’t worry too much about it. Instead, use the app to provide original and interesting content to your current followings on those already established networks. Vine is still so new, it’s wet behind the ears. But for brands that can see the potential in the micro-video platform, it’s a great opportunity to try something that may very well change the landscape of video marketing. Only time will tell. Author bio: Brian Lakeman is author and Brand Manager for Activ8me, Australia’s premiere fibre broadband provider.